The Galfer Front Wave Brake Rotor features a vented 420 stainless steel braking surface and a 7071 aluminum center carrier. 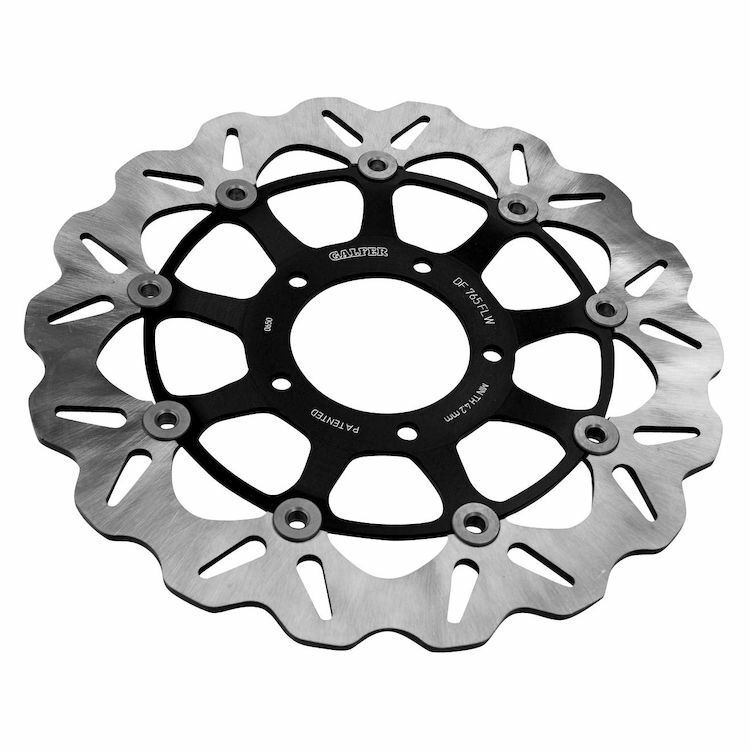 This floating rotor is designed to shed heat and water to help improve braking performance in all weather conditions. Note: Image for reference only. Actual Galfer Chrome Wave Rotors may vary depending on your bike.